In the show today, J. Richard Jones talks with Simon Olsen, Director of Business Development for Strategy and Partnerships at Sentient Vision. Hear about Simon’s perspective on the future of marine search and rescue for Canadians, the challenges officers are facing when it comes to water defence and marine SAR and new technologies to consider. 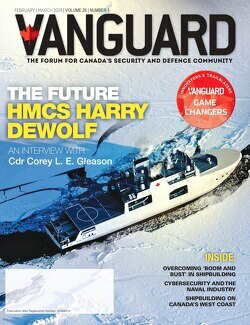 He also shares his insight on new approaches and technologies that the US Coast Guard, the UK Royal Navy and the Royal Australian Navy are using that Canada should consider adopting and the world’s first Optical Radar – ViDAR. This is an airborne persistent wide-area maritime search system that autonomously detects objects on the ocean surface and provides the operator with a detailed image of objects that other search methods often miss. A “game-changing” system for search and rescue! As the Director of Business Development, Strategy and Partnerships at Sentient, Simon has extensive networks within the aviation, unmanned systems, general aircraft integration, sensors and exploitation markets both in Australia and around the world. He is also a former member of the board for the Australian Association of Unmanned Systems. To learn more, go to: http://www.sentientvision.com/.